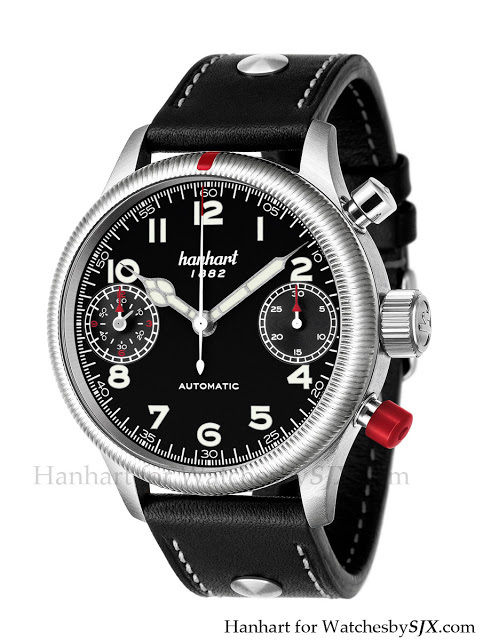 German stopwatch maker Hanhart just announced it will be used for its wristwatch chronographs starting in 2012. The steel alloy, HDSPro® steel, has a hardness of 600 to 700 HV, compared to about 200 HV for the commonly used 316L steel. In addition HDS Pro is nickel-free, which is good news for those with nickel allergy. This is not a coating technology, but rather a hardened steel, similar to Sinn’s Tegiment or Damasko’s ice-hardened steel. Overall it appears promising and very practical. Thomas Morf, the former CEO of Carl F. Bucherer, took over Hanhart in 2011 and has injected new life into the company to reposition it as a sports chronograph maker. The use of this alloy is a logical step.